The cube electric comes in a premium aluminium finish with a motorized soft touch button, while the DATA & AV compartments are internally shielded to eliminate electrical interference. 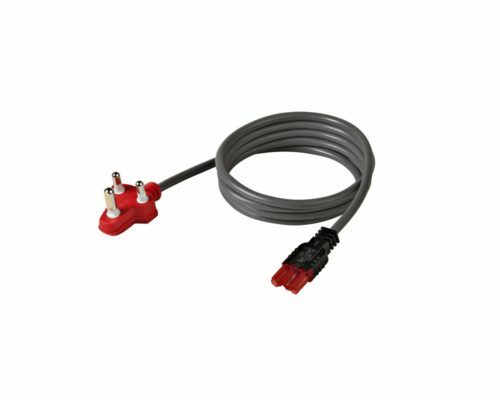 The range features cables, connectors and distribution block with integrated locking devices approved according to IEC 61535: 2010 & EN60320. 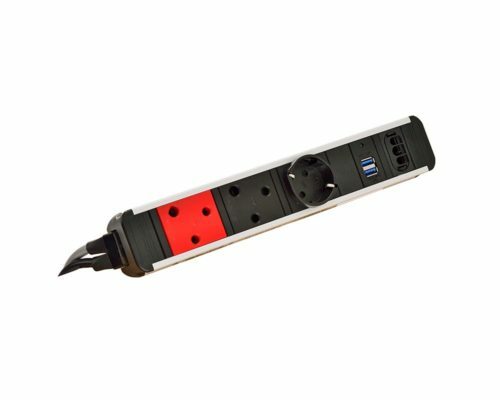 All components supporting electrical contact points are made with flame retardant engineered plastics while all internal connections and wire-ends within the units are earthed and crimped or soldered using lead-free solder. The Rotadock is rotated open by hand, and features an innovative locking mechanism to secure the unit in both the open and closed positions. With its very low profile, the unit sits almost flush with the work-surface when closed, but revolves to a slightly raised position when ready for use, reducing the risk of spilt-liquid ingress. 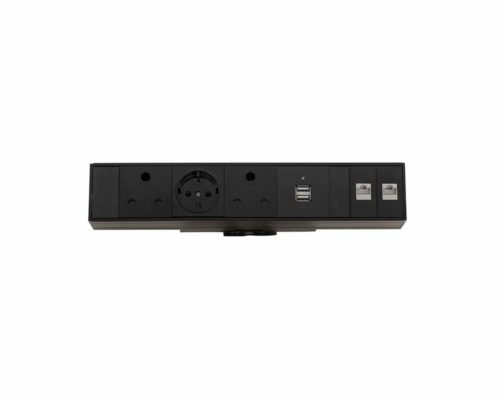 Allows quick and easy access to the power unit without the clutter of cables. The Punto range is a complementary addition to any desktop. 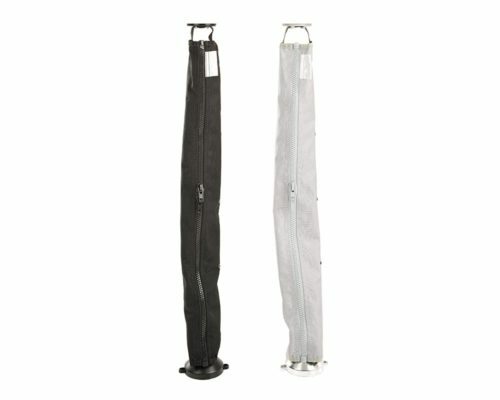 The unit is simply placed in a pre-cut hole and fastened with a easy-to-screw on locking collar. The Punto range is available in black, grey and white and have various configurations to choose from. The Slimline Omega in desk units are robustly constructed from aluminium and engineering plastics according to strict international standards, whilst still retaining their modularity and customizability. They also feature swivelling cable strain-relief as standard. 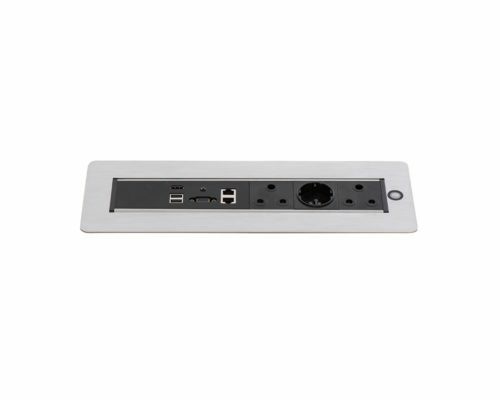 The Slimline Iris units are robustly constructed from aluminium and engineering plastics according to strict international standards, whilst still retaining their modularity and customizability. They also feature swivelling cable strain-relief as standard. 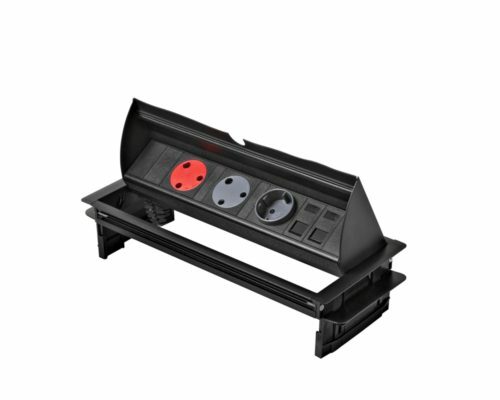 The cube range features cables, connectors and distribution block with integrated locking devices approved according to IEC 61535: 2010 & EN60320. 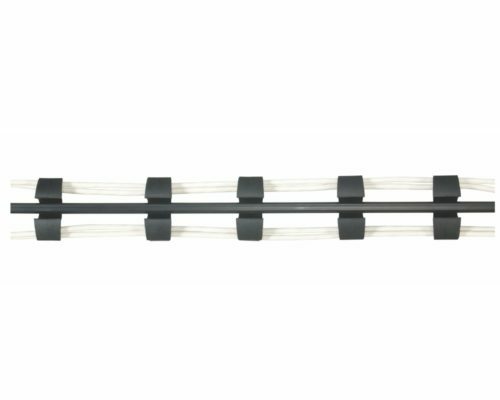 All components supporting electrical contact points are made with flame retardant engineered plastics while all internal connections and wire-ends within the units are earthed and crimped or soldered using lead-free solder. 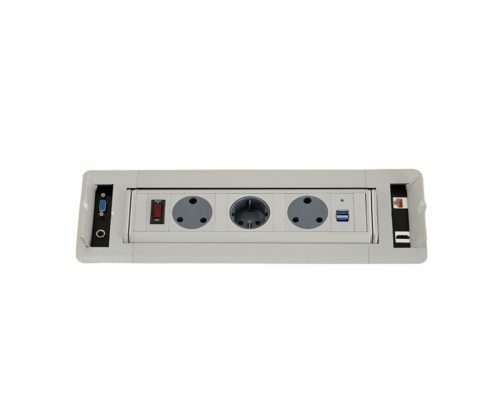 Mounted within the work surface, the Horizontal Power Dock tilts up, exposing the sockets and peripherals to the surface. 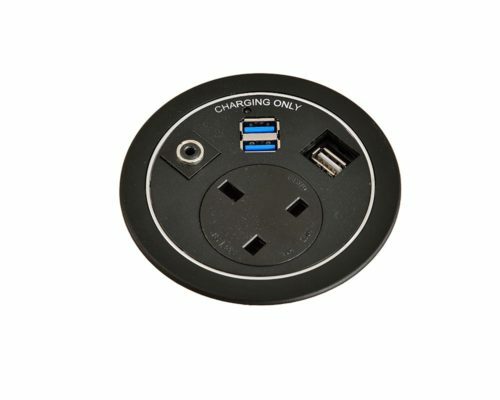 The unit can be closed while plugs are still attached. The sleek, minimalist styling offers a clean, functional presence with an almost limitless selection of customised options. 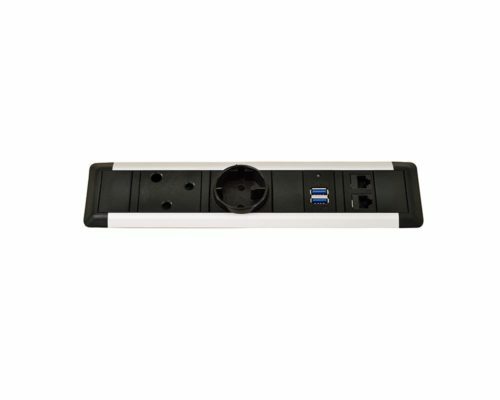 The Oblique range is a modular electrical power outlet system available in 2 or 4 outlet configurations, made of high grade engineering plastic materials. Each version can be supplied in a variety of switching options as well as fusing options. The Cable Zip Bag is capable of segregating the power and data cables while still allowing a aesthetic and easy to maintain cable solution. 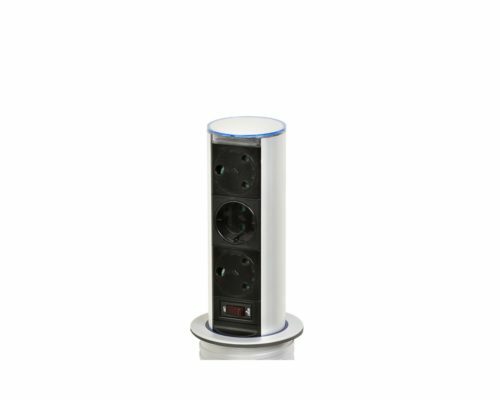 The Slinky is an efficient cable management solution with a large weighted base for extra stability and is available in traditional Grey, Black and Opaque. 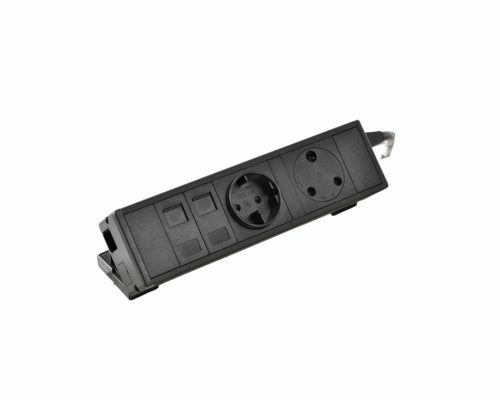 These include a full range of input (infeed) power cables supplied with moulded plug tops and a female connector (or hardwired into the product) as well as interconnecting cables which allow users to extend or reconfigure their office power units as required. 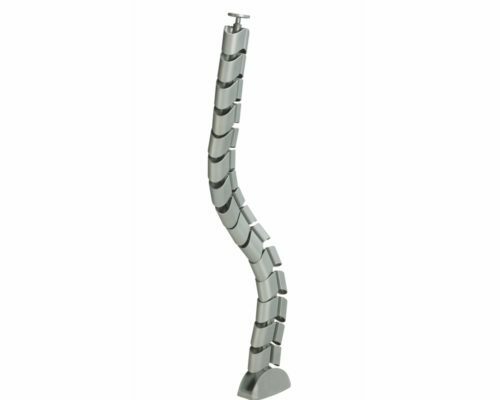 The Cable Vertebrae is an efficient cable management system with oval shaped spine segments available in traditional Grey, Black and Opaque.